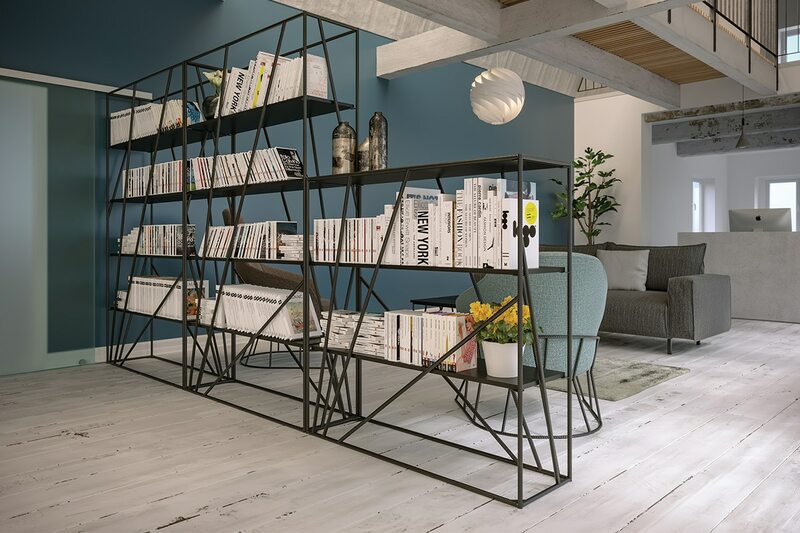 Frovi Foundry Shelving provides contrast between the beauty of wood and raw industrial characteristics of Rebar metal; the Foundry range offers a unique and truly design-led product. The use of alternative materials such as Rebar within the workspace can make a bold statement. Foundry is ideal for creating zones and dividing open-plan workspaces.